Hydraladas were originally developed to improve the efficiency of orchards for pruning, thinning and picking and orchard models are being made more versatile than ever. 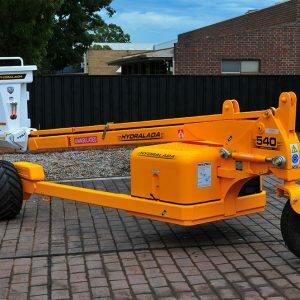 However the greatly extended range of Hydraladas have now demonstrated their effectiveness for larger tropical fruit trees, the care of urban trees, seed collection, building, transport vehicle servicing – in fact any application where men need to work at moderate heights. They enable the operator to move quickly from one position to another on rough terrain while elevating. 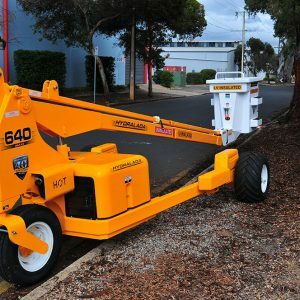 Their advantage is that there is no need to stop and put down stabilizing legs, and in some applications it is more efficient for the operator to control the machine entirely with his feet, leaving both hands free to do his job.